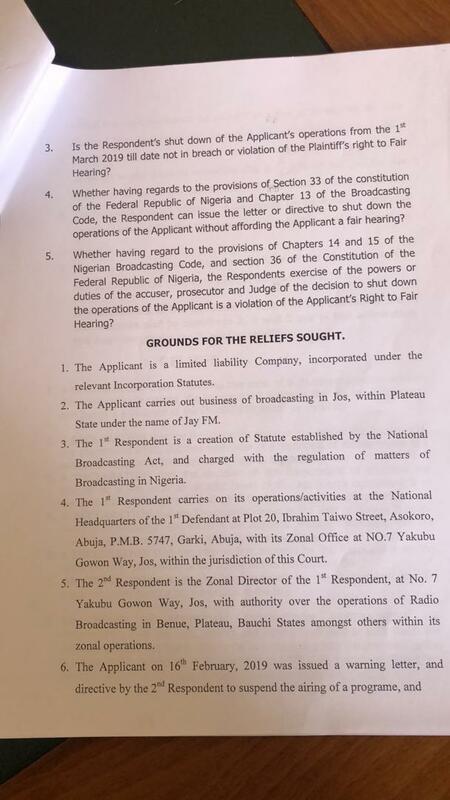 The National Broadcasting Commission, was on Thursday dragged to court by the management of Jay FM in Jos. The radio station called on NBC to free itself from political manipulation and also from people who have conscripted themselves into enemies of “liberty, justice, and freedom” in the country. 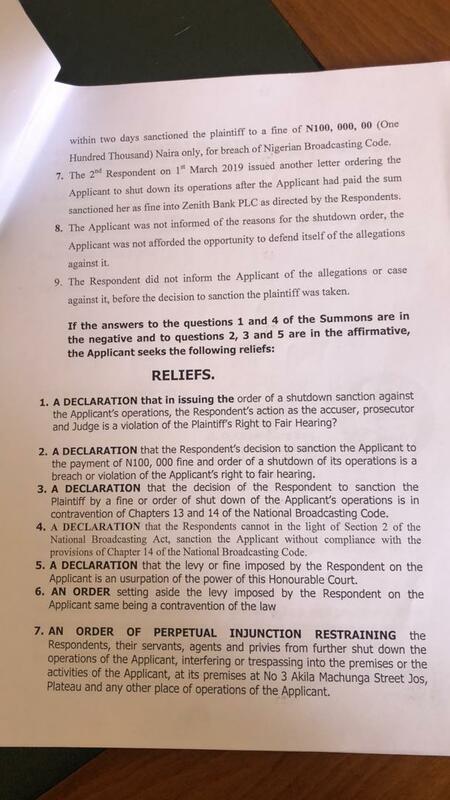 The radio station management also claimed that it has credible information that the powers that be in Plateau State in collaboration with those in the presidency are behind the shutdown of the radio station. The station stated that due to this development it has no option than to seek legal redress in a court of law. The radio station through its Chief Executive Officer/Managing Director, Clinton Garuba, revealed this in Jos on Thursday. Recall that the radio state was shut down under controversial circumstances on the 1st of March by NBC. 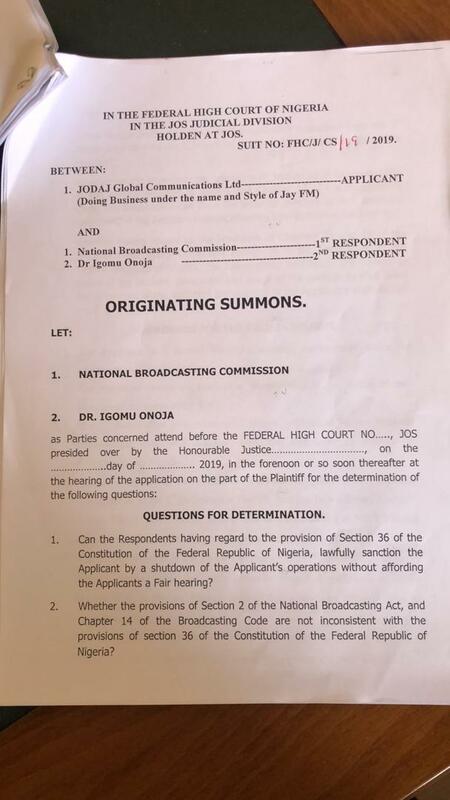 The commission in a letter signed by its Jos Zonal Director, claimed that if the radio station continue to broadcast it may lead to breakdown of law and order. 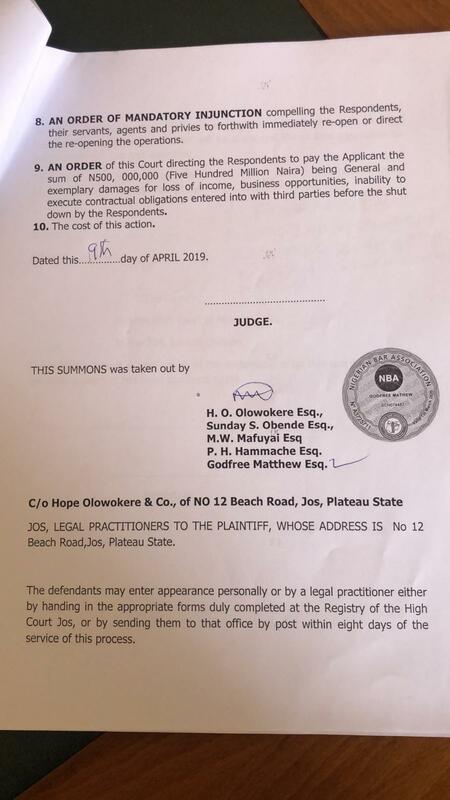 The Commission referred to two instances when the Station was sanctioned few days to the 2019 Presidential Elections, the first being a N100, 000 fine on 16th February, 2019 for airing a News Commentary titled “Does Buhari Deserve a Second Term?” written by Chris Gyang a listener, and the second being a warning on 18th February, 2019 for airing a News Sound Bite by Bishop David Abioye charging his followers on how they should vote. The radio station was accused of supportin the presidential candidate of the Peoples Democratic Party, Atiku Abubakar.